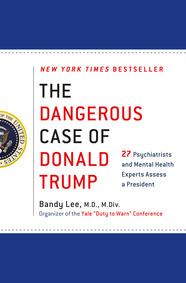 The consensus of two dozen psychiatrists and psychologists that Trump is dangerously mentally ill and that he presents a clear and present danger to the nation and our own mental health. 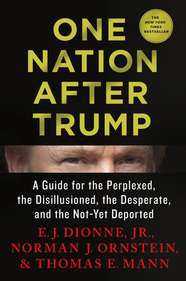 A call to action from three of Washington’s premier political scholar-journalists offering the definitive work on the threat posed by the Trump presidency and how to counter it. 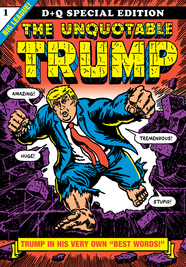 The master of the comic book mash-up finds the POTUS to be his ultimate super-villain. 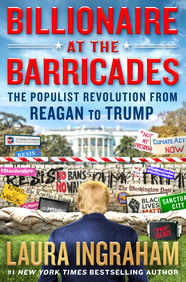 Bestselling author Laura Ingraham tells the story of Donald Trump’s surprising ascent to the White House at the head of a much-maligned and misunderstood populist revolt. 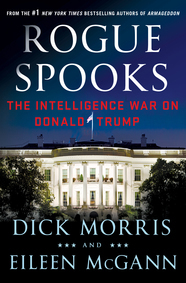 Morris and McGann argue that anti-Trump partisans have been secretly orchestrating an unprecedented undercover campaign to sabotage President Trump and his agenda by using U.S. intelligence agencies and assets to gather and leak embarrassing and sensitive information. O’Reilly and Dugard’s bestselling history series continues with the story of the Revolutionary War, told through the eyes of George Washington, Benjamin Franklin, Thomas Jefferson, and Great Britain’s King George III. A call to action from three of Washington’s premier political scholar-journalists offering the definitive work on the threat to our democracy posed by the Trump presidency and how to counter it. An in-depth and no-holds-barred account of the practice of covert murder in Russian politics, beginning in 1998, when Vladamir Putin became head of the FSB, and continuing to the present day.